Dear Friends and Prayer Warriors, Giving Praise,Honor and Glory to our Heavenly Father. 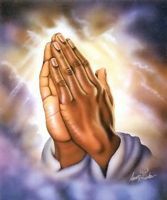 May I ask if you would continue to pray for Healing for Michael Jr.,Jessie,Ella,Michael Sr.,Darionna,Sonserya.I need divine intervention in my life. I'm sinking further into darkness. Overwhelmed. Pray with me that I can see God's Goodness working for me. It's like I'm in this maze and can't find my way out. Emotional,Physically,Financially and I'm feeling so alone. I can't even concentrate half of the time. I Pray,I've tried meditation. Please help me, show me the way Dear Lord. Thank you all for your prayers in Jesus name Amen.